MilanoCard is the tourist & travel card of Milan which includes MilanoCard APP, free public transport, a free personal driver and free entry or discounts at more than 500 Milan tourist attractions including over 20 museums, tours, fine Italian restaurants, hotels, shops, events tickets and more. Valid for 24, 48 or 72 hours MilanoCard enables you to do everything in Milan at a vastly reduced cost. Moreover, now MilanoCard offers services beyond Milan in Lombardy, Rome and Venice for one month. 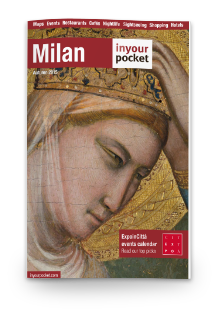 Find here the special promotion of MilanoCard. Don’t lose your time, save your money and buy MilanoCard + Ticket of the main attractions of the city. MilanoCard starts from the date and the hour you chose after the payment. Start now, save money and time ! We asked to our past customers to talk about the MilanoCard, Go to www.milanocard.it/testimonial to review video testimonial ! Look also at the testimonials af the Ambassadors of MilanoCard to hear the most importantpersonalities of Milan and the main partners of MilanoCard explain why you should visit Milan and how MilanoCard will help with this. Last but not least, take a look of the video of our Quality Specialist and discover how we take care of you !